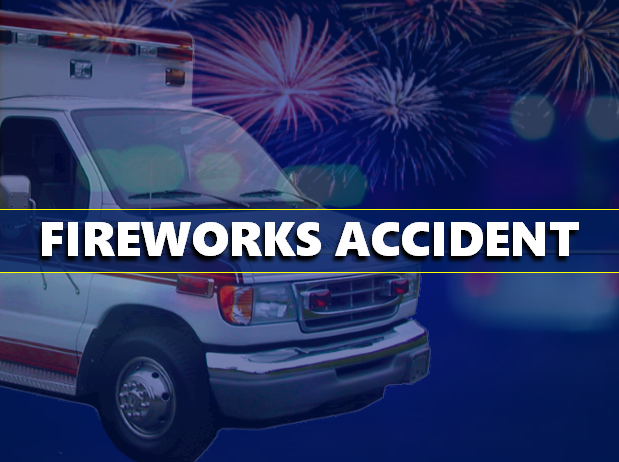 LOOGOOTEE -- A Loogootee man was hurt over the weekend in a fireworks accident. Police say it happened just before 11:30 Saturday morning on Mill Road near Shoals. 49-year-old John Osborn suffered injuries to his hand while lighting fireworks.He was airlifted to a Louisville hospital for his injuries. State and local officials have been releasing information about fire work safety leading up to the Fourth of July holiday. That’s when there is an annual increase in the number of firework accidents nationwide.